Schemmer's Pat Birch, AIA, LEED AP, was featured in a photo in the Lincoln Journal Star in an article discussing how the Rotaract Club, the college version of Rotary, at the University of Nebraska - Lincoln has been raising funds to buy wheelchairs for polio victims in Africa's Ivory Coast. 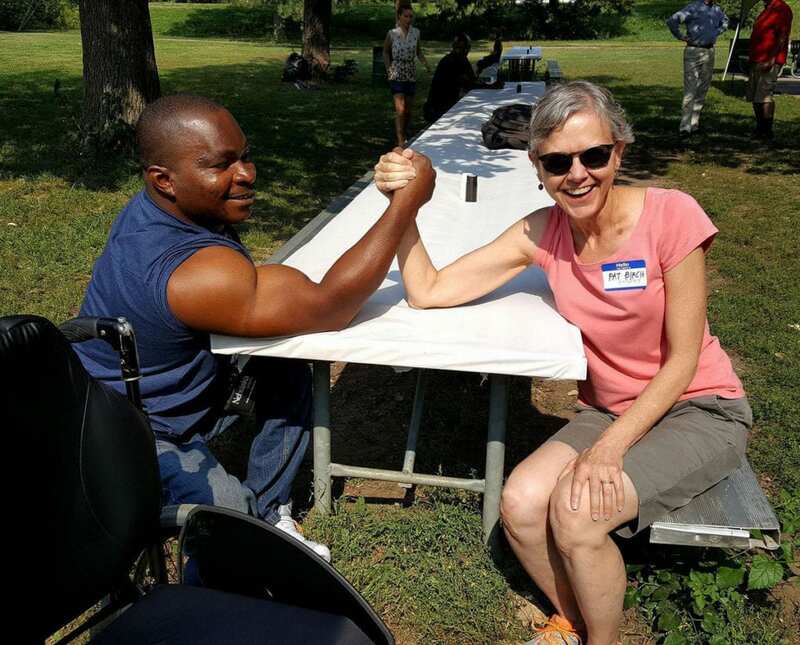 Birch, a member of the Rotary 14 Board of Directors, participated in a "hand wrestling" fundraiser where she "hand wrestled" Konan Blaise Koko for $5 towards Wheelchairs for the Ivory Coast. Koko is the mastermind of the fundraiser after years of being carried to and from school by his mother and later walking on his own in pain because of polio. He hopes to provide members of his village in the Ivory Coast that were also affected by polio the opportunity to continue their education by traveling to and from school in comfort with the aid of a wheelchair.